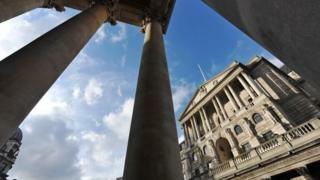 For the first time in more than 10 years the Bank of England has raised interest rates. The official bank rate has been lifted from 0.25% to 0.5%, the first increase since July 2007.The move reverses the cut in August of last year - made in the wake of the vote to leave the European Union.Almost four million households face higher mortgage interest payments after the rise, but it should give savers a modest lift in their returns.As well as many of the country's 45 million savers, anyone considering buying an annuity for their pension will also see better deals. What will the rate rise mean for youKamal Ahmed: Are more rate rises ahead? Of the 8.1 million households with a mortgage, 3.7 million, or 46%, are on either a standard variable rate or a tracker rate.The average outstanding balance is ?89,000 which would see payments increase by about ?12 a month, according to UK Finance.The Bank estimates that almost two million mortgage holders have not experienced an interest rate rise since taking out a mortgage. The nine-strong panel which sets interest rates, called the Monetary Policy Committee (MPC), justified the rate increase by pointing to record-low unemployment, resilient consumer confidence and rising global economic growth.Seven out of the nine members voted in favour of higher rates.They believe that growth cannot accelerate much more without causing prices to rise more quickly.However, the MPC repeated previous guidance that future increases in rates would be at "a gradual pace and to a limited extent".The pound fell about 1% against the dollar and euro, as some investors had hoped to see hints of more rate rises. Sterling dropped more than a cent against the two currencies to $1.3120 and €1.1260 respectively. The financial markets are indicating two more interest rate increases over the next three years, taking the official rate to 1%.The MPC also said that the decision to leave the European Union is having a "noticeable impact" on the economic outlook. It said there were "Brexit-related constraints" on investment and labour supply, which were holding back the potential growth rate of the UK economy.The Bank of England, under the leadership of governor Mark Carney, is tasked with keeping consumer price inflation at around 2%. However, inflation has been running higher than that since February, and in September it hit 3% - the highest rate since April 2012.The Bank thinks that inflation is likely to peak this month at 3.2%.Despite accelerating inflation, the Bank has been reluctant to raise interest rates.It has argued that inflation has been boosted by the fall in value of the pound since the UK's vote to leave the European Union in June of last year.That weaker pound has driven up the costs of imported food, fuel and other goods. The Bank says this effect is probably at its peak at the moment.The other issue holding back the Bank has been the weakness in wage growth. While inflation hit 3% in September, wage growth was only 2.1%.However, the Bank sees wage growth "gradually" increasing over the 2018 and says there are signs of that happening already.In its Quarterly Inflation Report, released with the announcement on rates, the Bank slightly raised its growth forecast for this year to 1.5% from 1.3% and also edged up its growth forecast for next year. » What will the UK interest rate rise mean for you?